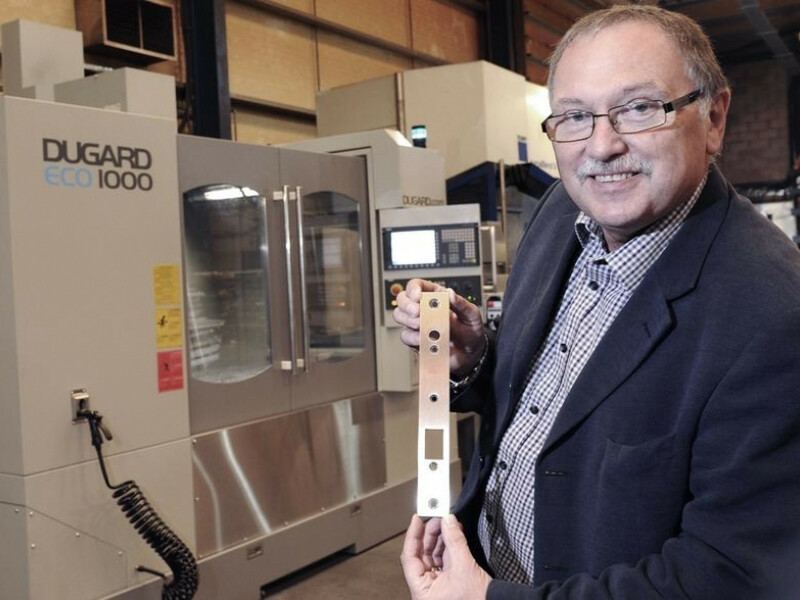 Laser Process, the Staffordshire based laser cutting company, has invested £50,000 in a new Dugard ECO1000 vertical machining centre. This will enable the company to perform a range of secondary machining operations on parts they have laser cut. The firm is also aspiring to meet its first class expectations within the manufacturing industry by cutting down on production time, therefore placing them ahead of their competitors. Laser Process will also see the innovative machine maintain its prestigious position within the industry by utilising its latest investment to enhance the working process. The operations made possible by this machine include drilling & tapping, chamfers, rebates, countersinking and counterbores. Adding to its latest positive developments, Laser Process has also taken on a 3000 square feet unit opposite their base on Keys Park, Cannock. This unit will house the assembly operation in order for the firm to run a smooth operation. This is a relatively new but rapidly growing part of the business which is hoping to expand in the future. To keep up with the growing demand, the company has taken on extra staff to operate the new machine and for the assembly operations. Laser Process specialises in subcontract laser cutting and secondary operations to provide a one stop shop for its customers. Last year, Laser Process invested around one million pounds in new equipment, which is currently keeping the firm at the forefront of the industry. They pride themselves with always putting the needs of the customer first and will continue to do so with using their latest Dugard ECO1000 Vertical Machining Centre.